We try to be accurate and almost always reference our posts. If you find any mistakes, you are more than welcome to leave a comment, and we will fix it. The site is mainly addressed to people with little or no medical knowledge, and for this reason we sometimes do certain mistakes in purpose, for example we make no distinction between progenitor cells and stem cells. Neuromics: Thank you for all the facebook shares, retweets etc ! Don't forget to like their facebook page ! 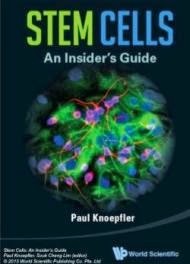 Stem Cells Freak is a site dedicated to the world of stem cells.Our goal is simple, to create the biggest site about stem cells featuring thorough information and daily updated stem cell news! Behind the site is a small team of people with a really high interest on the topic. If you are interested in contributing, either on a regular basis or as a guest poster, please drop an email here. We are currently open for guest posts. Please contact us at stemcellfreak[at]gmail.com for more information !